Acharya Rashmi Sharma is a well known Vedic and Prashna Kundali Astrologer for almost 20 years now. After doing her post graduation in Psychology, she did her Acharyaship from Bhartiya Vidya Bhawan, New Delhi under the guidance of Shri K. N. Rao and obtained a silver medal. Thereafter she pursued research in various fields of astrology. She has also mastered the skills of numerology and palmistry. 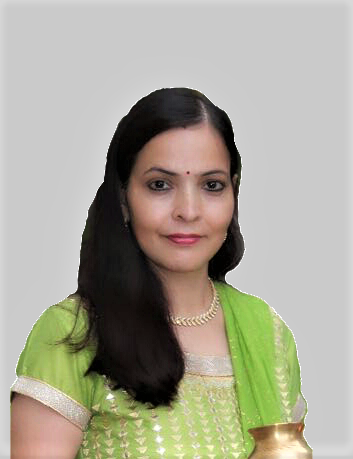 She has excelled in various fields of astrology viz...marriage and childbirth related issues, match-making, health, jobs and career, education, business and monetary aspects of day to day life. Her clients have immensely benefited from her predictions and suggestions. There is no word to express the depth of your knowledge,your kindness and your sweet voice..As for my knowledge you are the best astrologer among all the online astrology panels. Thank You so much again for giving me time and studying me horoscope.. Excellent Astrologer. very polite and highly knowledgeable.